lemon grading machine adopts the cleaning principle of high pressure air bubble. It has the advantages of high cleaning ability, high washing rate, wide range of application and no damage to the material. 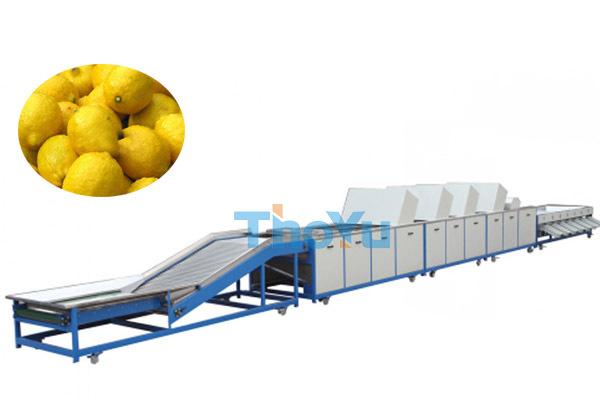 lemon sorting machine is equip with spraying section in order to wash the material thoroughly, the material is automatically conveyed to spraying section by conveyor mesh belt. It can also be equip with ozone generator for sterilization and disinfection according to customers special requirement. 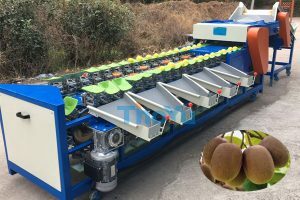 The lemon grading machine can also be equip with soft roller, brush roller, purification device and disperse device according to different material. All of the machine body (excluding motor, reducer, etc.) is made of good quality SUS304, durable and easy to clean. High cleaning ability, high washing rate. Wide range of application and no damage to the material. Spraying section: wash the material thoroughly. Optional Configuration(could realize more function). We also provide automatic lemon washing drying waxing grading line for you. 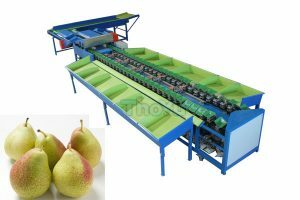 This fruit washing drying waxing grading line is designed to not damage the fruit as a precondition, continuous production, brush washing and polishing, room temperature dewatering, special wax spraying system continuously adjustable, high efficiency drying system, low temperature and low consumption, size/weight grading unit will automatically distribute the fruits to the designated area based on different diameter/weight range. 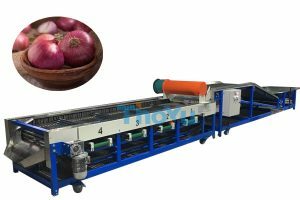 This processing line is widely used in apple, pear, mango, orange, lemon, grapefruit, peach and other similar fruits and vegetables. We can customize it according to customer’s requirements. Fresh fruit → Washing & Lifting → Sorting → Brush washing → Polishing & Dewatering → Waxing & Drying → Size/weight grading → End product.